The Chicago Fire advanced to the quarterfinal round of the 2018 U.S. Open Cup when it beat Atlanta United before a record Open Cup crowd of 41,012 at Mercedes-Benz Stadium on Wednesday evening. Nemanja Nikolic broke a scoreless tie in the 54th minute with the lone goal of the game to send the Fire to the quarterfinals where it it will host Louisville City, the sole USL survivor, on July 18. Fire coach Veljko Paunovic said it was very important for the culture of the club to do well in the Open Cup -- Chicago won four Open Cup titles in its first nine seasons -- and gives the Fire momentum as it returns to MLS action this weekend. "We have to first prepare and recover for our next game in Seattle," he said. "Then we have another tough opponent at home in New York City FC. Every game for us is almost like a final." The Fire has climbed into a tie for sixth place with struggling Orlando City after a run of two wins, two ties and only one loss in its last five games. "I think the confidence is the most important thing, " added Paunovic, "and the best thing to get the confidence is to win every time you have the opportunity. I think that is going to help us even to prepare for the next game." 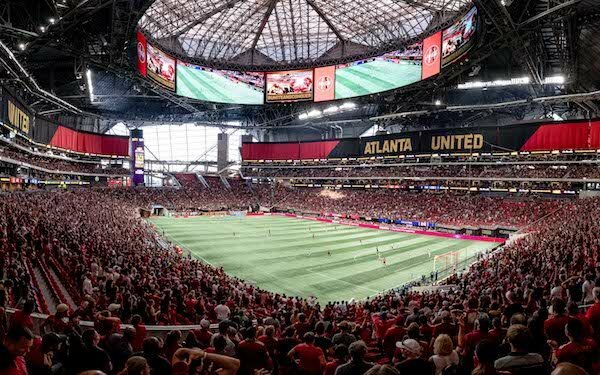 Atlanta United -- Kann, Robinson, Ambrose, Zizzo (Carleton 87), Gonzalez Pirez, Almiron, Vasquez (Barco 62), Kratz (Gressel 62), Wheeler-Omiunu, Villalba, Williams. Chicago Fire -- Sanchez; Campos (Ellis 64), Kappelhof, Campbell, Corrales; Bronico, McCarty; Schweinsteiger; Katai (Gordon 90+4), Solignac; Nikolic (Tchani 78).